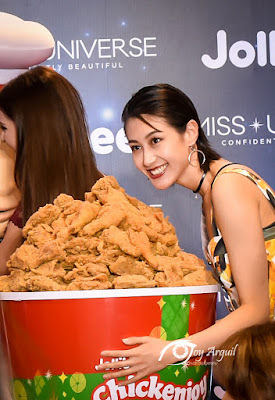 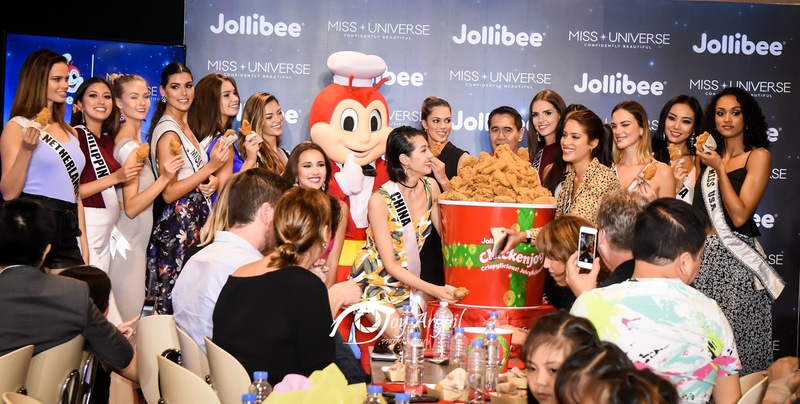 The country's #1 fast-food brand and the universe's most confidently beautiful women spend a day of fun, gift-giving and dancing with the children from Kanlungan sa Er-Ma Ministry. 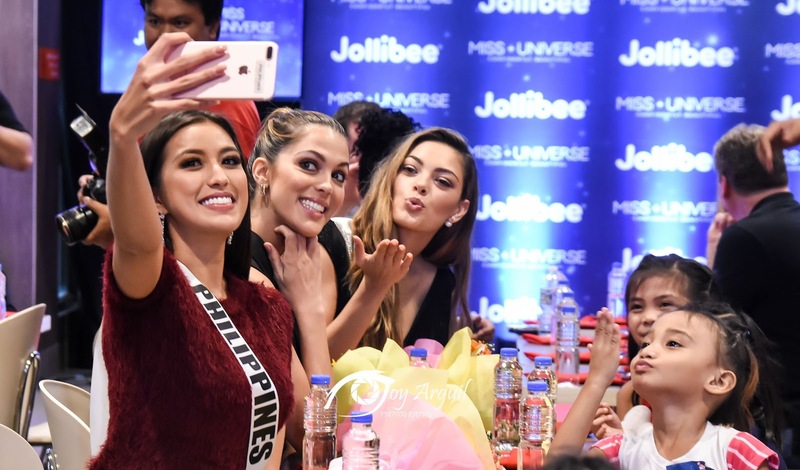 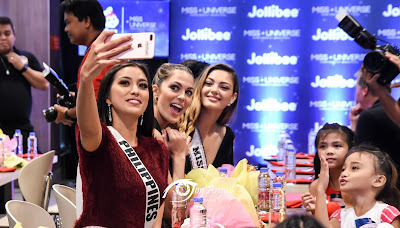 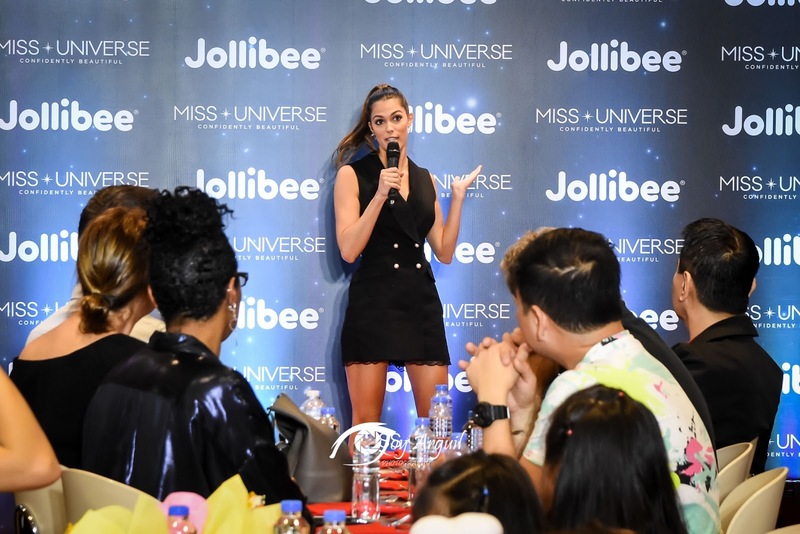 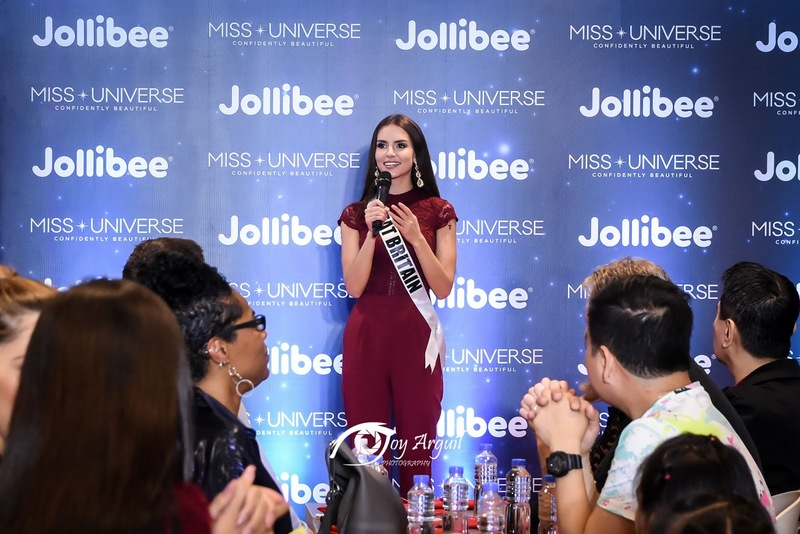 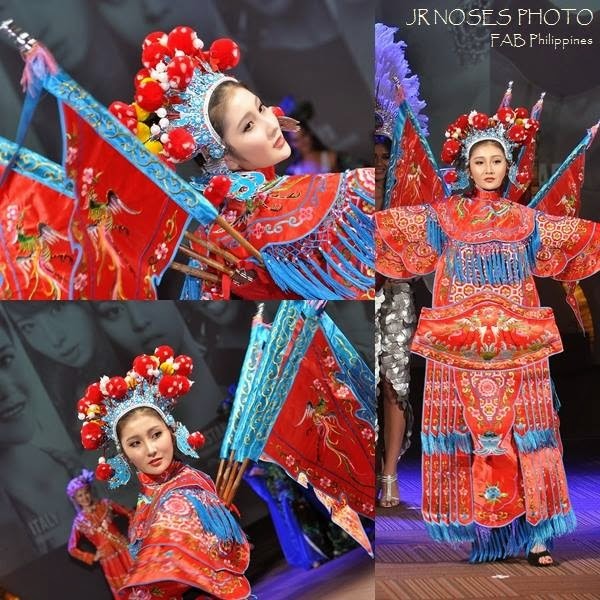 One week after yet another spectacular coronation night in Las Vegas, Nevada the Miss Universe titleholders arrived in the Philippines for a weeklong tour of the country. 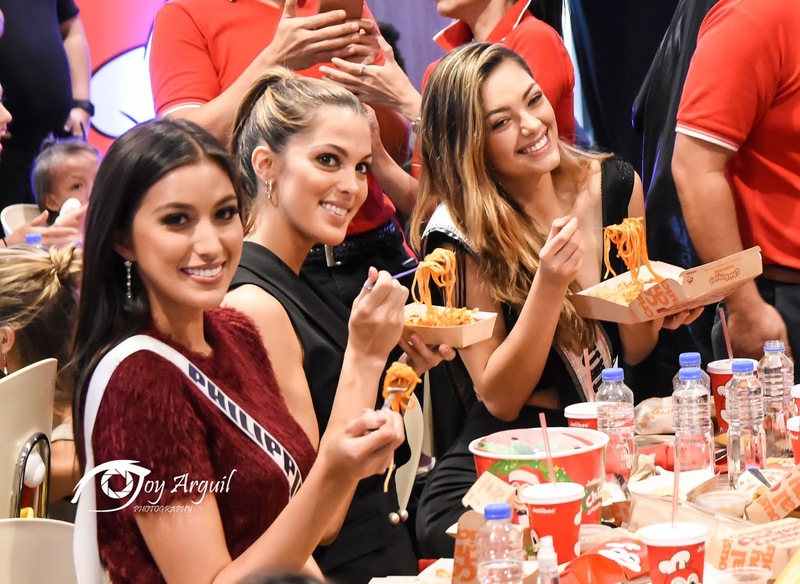 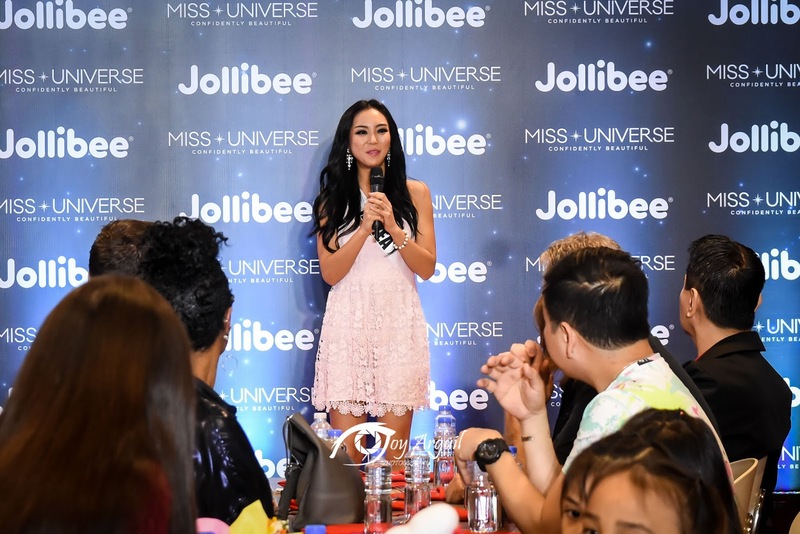 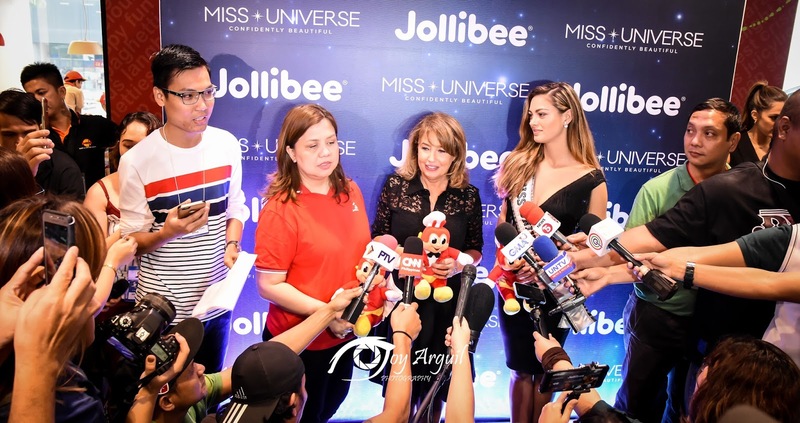 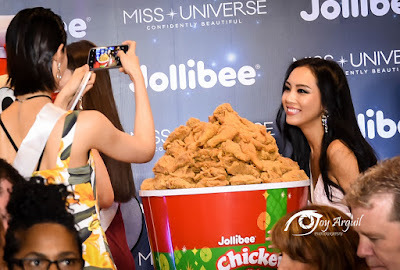 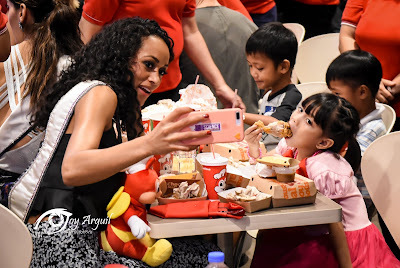 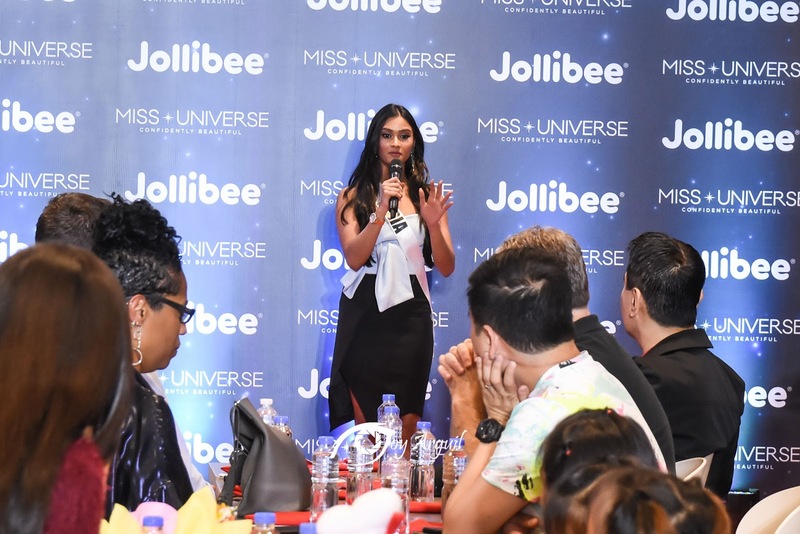 One of the many activities lined up for the confidently beautiful women was a visit in Jollibee Biopolis along Macapagal Ave., Pasay City, the Philippines #1 fast-food chain, to help spread joy to kids in time for the Christmas season. 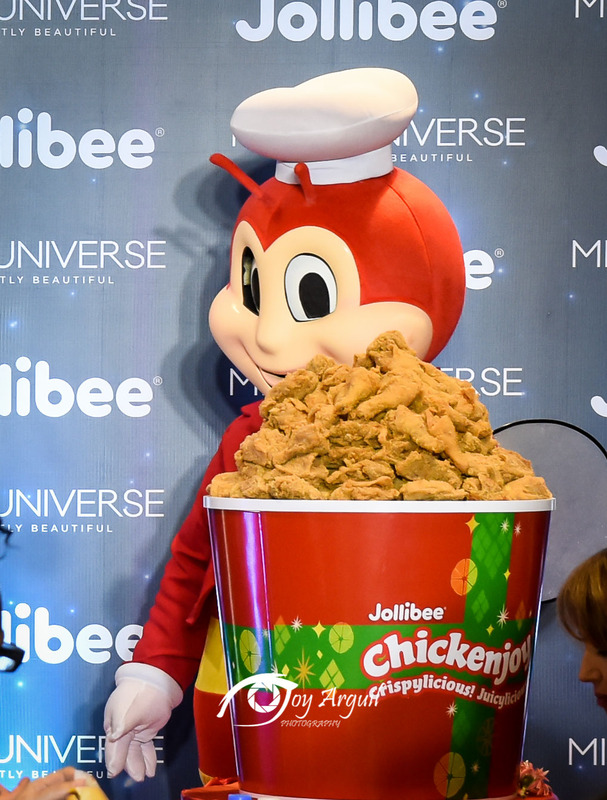 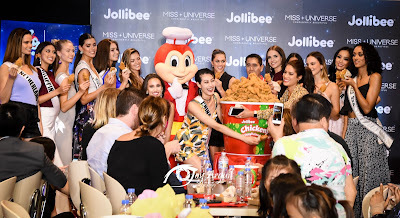 Each title holder was paired with a young orphan girl, where they bonded over Jollibee favorites like Chickenjoy, Jolly Spaghetti, Cheesy Yum Burger, Jolly Crispy Fries and Peach Mango Pies, shared stories and danced with the iconic Jollibee mascot. 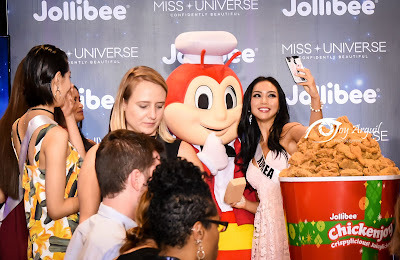 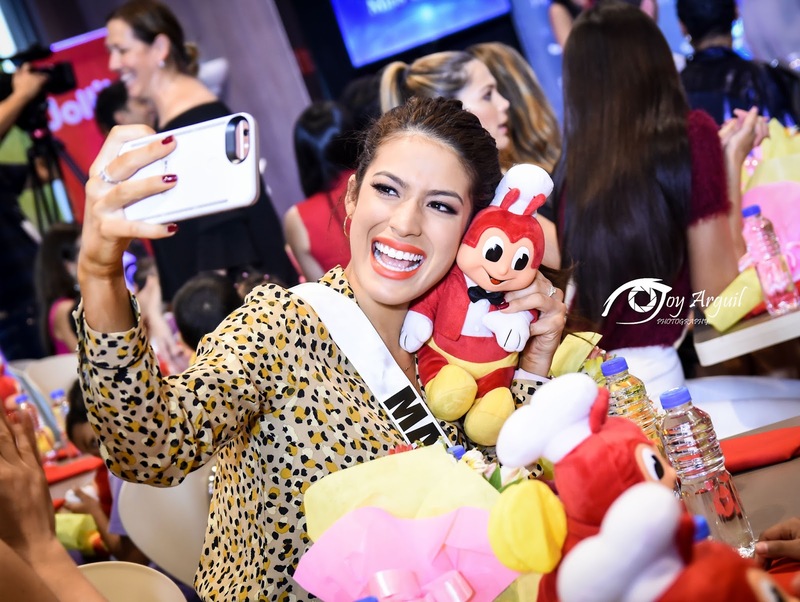 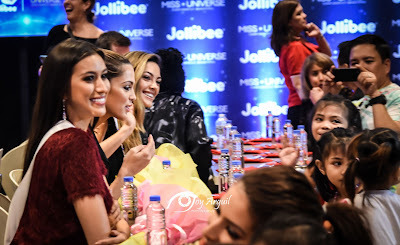 Afterwards, the Miss Universe titleholders gifted their sweet new friends with cute Jollibee huggable pillows. 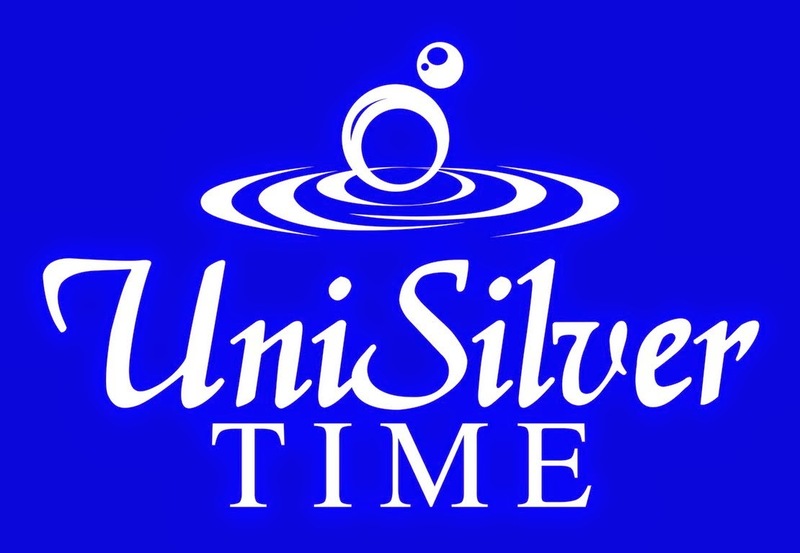 The Miss Universe organization is an advocate of positive change in the world, empowering young women to initiate advocacies in their local communities with potential to reach a global audience. 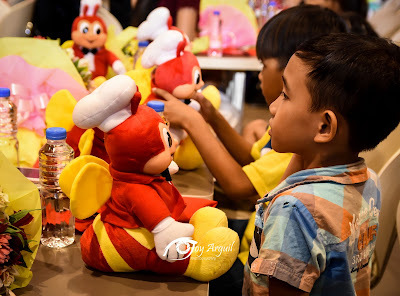 Kanlungan sa Er-Ma Ministry is a non-profit organization based in Malate, Manila which provides street children the necessary care, love, protection, rehabilitation and education through first-aid, counseling, health and recreational activities, among others. 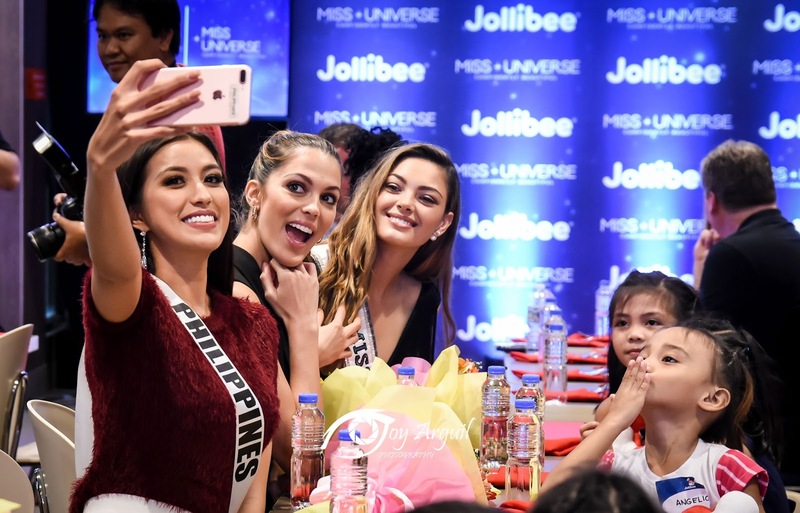 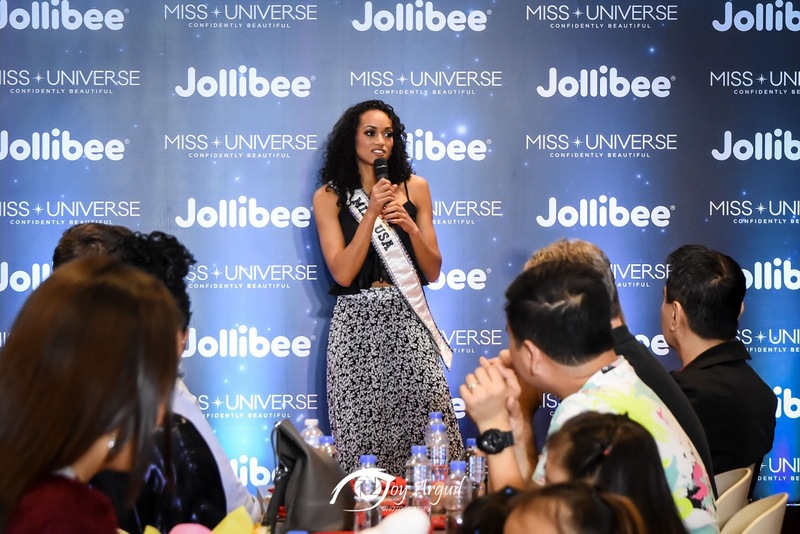 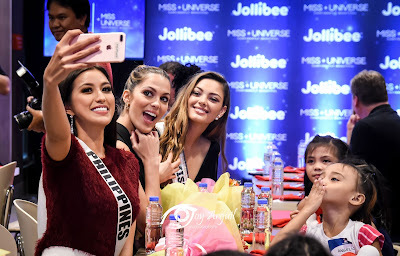 Last January 17, the Miss Universe 2016 candidates participated in a similar outreach activity with the children from the Concordia Children's Services orphanage in Jollibee Blue Bay Walk.